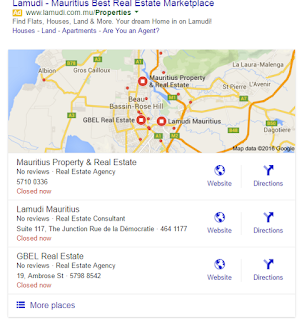 If you are interested in buying property in Mauritius, there are various channels you through which you can do so, both online and offline. I'm going to use this post to explain some of these because I can and this is what a blog is for. Although I refer to "property" in this title and throughout this article, note however that I am using the word loosely as it also includes buying plots of land, which is usually the first thing Mauritians usually do when investing in real estate. I'll start by the offline channels since these are still the most predominant methods. 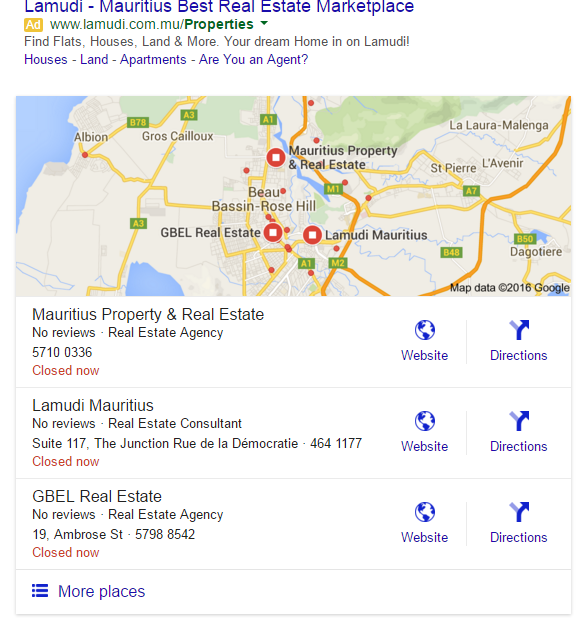 All the local newspapers regularly feature advertisements from people selling properties -- and if you are selling, there are also people who post ads to proclaim their interest in buying property in Mauritius. For a list of local newspapers, you can refer to my fairly dated newspaper article which I will update soon (hopefully). However, the property ads are mostly in the printed newspapers. It's still rampant here and it can be brutally effective. Just ask around, and you may get lucky. It helps even more if you yell that you are looking to buy while walking on the street or sitting in the bus. And since we are in 2016, here are the online methods. More and more people are going online to buy and sell properties, so why shouldn't you? I personally feel that it has several advantages compared to the traditional ways such as convenience and the fact you can weigh tons of options before committing to a purchase. LExpressProperty is LExpress dedicated website to real estate. I think it's awesome but I may be biased as I got my plot of land through the platform in 2012. It has a search feature, it's available in English and French, and it currently has tons of listings. Its Facebook link is broken in its footer, which makes me question how many times per week the developers check the website. It's the worst possible method you could imagine, but you may want to rely on it. Go deep involves searching Google and clicking on many links, some of which may be dodgy. That is why I don't recommend doing this unless you are looking for very specific properties, such as luxury real estate or schemes through which you can become a resident here.